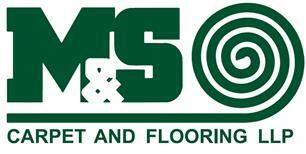 M & S Carpet and Flooring LLP - Carpets/Flooring based in Crawley, West Sussex. M&S Carpets & Flooring have been supplying and professionally installing quality carpets and flooring to both residential and commercial clients for over 25 years. Our three branches in Surrey & Sussex stock a huge range of quality Carpets and Flooring solutions that will help transform your home or workplace. Our many years in the flooring industry has enabled us to form strong relationships with the UK’s largest flooring manufacturers and also some of the smaller independent retailers – meaning we can offer you the best prices on a wide variety of carpets and flooring. As leading flooring contractors in Surrey & Sussex we have built up a fantastic reputation for supplying high quality flooring at the most competitive prices. Our expert installation team has also allowed us to help transform homes and commercial premises for hundreds of satisfied clients across Surrey, Sussex and London, producing results which exceed their expectations. You can visit us in one of our branches, email us, or call to discuss your flooring needs with us. With M&S Carpets & Flooring, you’re guaranteed a bespoke service which will help you find the perfect flooring solution for your home or workplace. Whether you visit our Banstead, Carshalton or Crawley branch you will be assisted by one of our highly experienced flooring specialists, helping you to choose a carpet or flooring solution which is both aesthetically pleasing but also meets the needs and requirements of its uses. We also specialise in supplying all types of flooring for your home or business premises. For commercial flooring customers, we can supply highly durable flooring solutions from manufacturers such as Gerflor and Poly Flor. Having installed flooring for many local schools, hospitals and offices we understand the needs and requirements expected with commercial flooring. Homeowners and residential customers can also find their dream flooring with the help of M&S Carpets & Flooring. We are your one stop flooring and carpet shop in Surrey & Sussex that guarantees to find your perfect flooring at the right price. Visit us in branch or call us today and M&S Carpets & Flooring will begin helping you find the flooring solution that will exceed your expectations. Did you know? M&S Carpet and Flooring also offer a FREE MEASURE AND QUOTATION SERVICE from all branches!